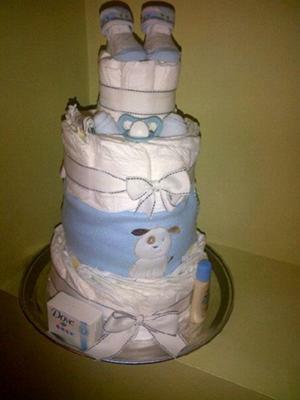 Here at 'Pamper-Me Please' we make and design diaper cakes that only suit your needs. Visit us at www.wix.com/pampermeplease or like us on Facebook at 'ShemekasNoveltyGifts'. 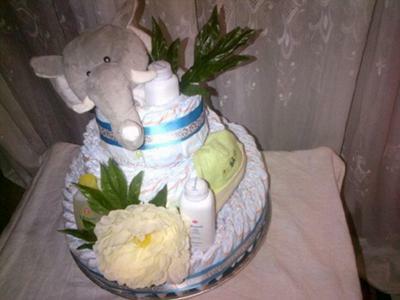 We specialize in bicycles, tricycles, bassinets, strollers and even classic layered diaper cakes. Contact us today for the perfect baby shower gift. Be the talk of the party with your unique yet practical gift. 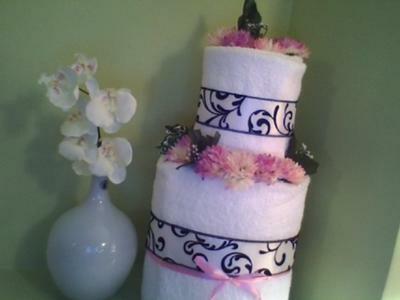 We also make towel cakes and gift baskets for any occasion. These are spectacular cakes which are assembled by hand using the best quality ingredients to form impressive centerpieces for table and can be useful for newborn and mom. Most people classify these creations as unique and special because you will not find a lot of companies offering this service. You can even make your creativity extend a bit further by coordinating your baby shower invitations and thank you cards with the same designs and color theme of the cakes.